Home Articles The London Rare Book Trade is joining forces! Four days of Unmissable Events in June Next Year! 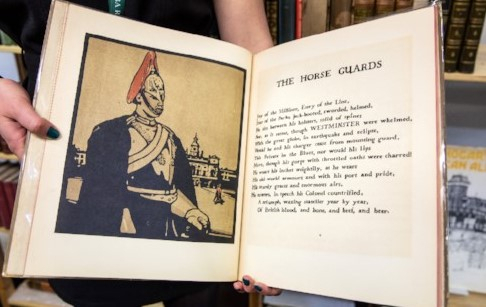 Opening on Friday June 7 and running through to Sunday June 9: Firsts – London’s Rare Book Fair, the ABA’s annual flagship event and one of the most prestigious rare books fairs in the world, will be staged in beautiful Battersea Park and will welcome over 170 international exhibitors. The Bloomsbury Book Fair, organised by Etc Fairs will be held on Sunday June 9 from 10am – 3.30pm. With over 120 dealers from the UK, Europe and further afield, the summer fair is a key event in their fairs calendar, always drawing an excellently diverse selection of buyers and booksellers.